Free Spirit Bingo – Wheel of Slots New Bingo Sites! 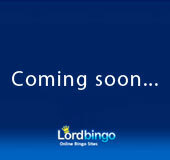 Lord Bingo News Bingo Promotions Free Spirit Bingo: Coming soon to Wheel of Slots Network! Free Spirit Bingo: Coming soon to Wheel of Slots Network! Lately we reported on four new bingo sites that recently launched on the Wheel of Slots Network (WSN). Viking Bingo, Lucky Cow Bingo, Wallis Bingo, and Bingo Fling are all new sites that run on this young bingo network! Free Spirit Bingo will join these new sites and offer similar perks and bonuses as other sites on WSN. We can expect a similar Welcome offer – a 200% 1st deposit Bonus and a Spin the Wheel bonus! Newbies sign up and deposit £10 to get a spin on the Wheel of Slots for a chance to win up to 500 Free Spins on top games! We would think that the design for Free Spirit Bingo will have a bohemian style and probably include lots of feathers and dreamcatchers. There is little known about this new site and we’ll keep you updated as soon as we know more!